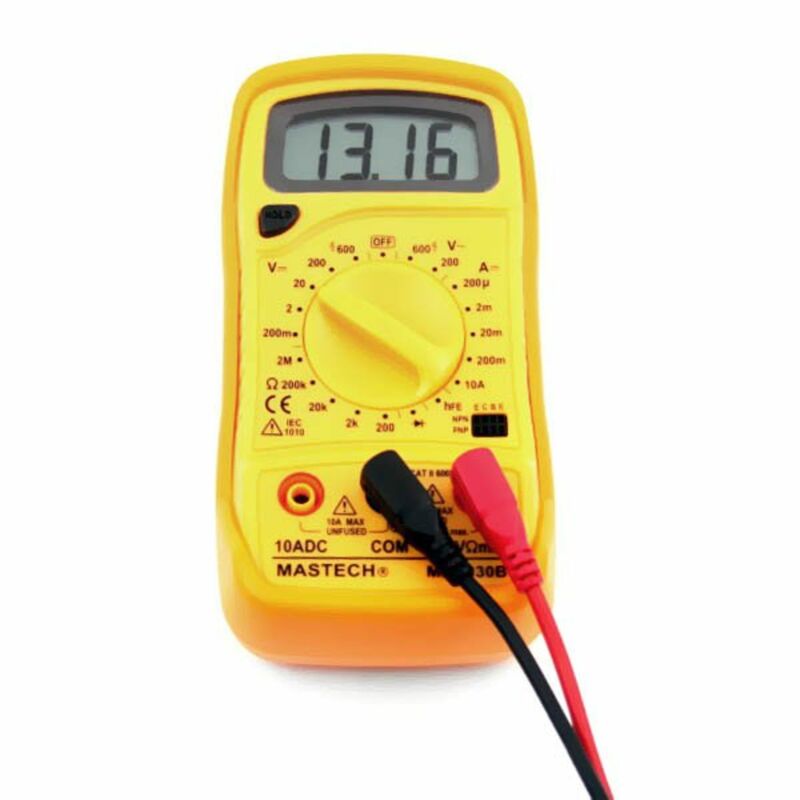 This inexpensive voltmeter has been tested by Batterystuff, and is as accurate as we have found! Measures AC and DC volts, current, resistance (ohms), diode continuity and transistor hfe. Auto Polarization, 1/2 inch 3 digit LCD display, measures 5 × 2.5 × 1 inch, weight less than a pound and UL listed. Can be used to check battery voltage, solar panel open circuit voltage, solar panel milliamp (amp) output, battery charger voltage output and settings, continuity in an electrical circuit, and many other uses. A digital tester is a consumer must have, as it will be a big help in solving any electrical problems. *Flat Rate shipping is for the lower 48 states only. Do you own the YDMM05? Please, tell us what you think about it. It helps us provide you with better products. Please note that it may take up to 72 hours for your review to appear. Pros: Well built. Large numbers make it easy to read for not so young people;Like me ! Cons: Wish it came with more easy to read instruction for people that don\\\\\\\\\\\\\\\\\\\\\\\\\\\\\\\'t have that much knowledge on how to use it. Excellent buy, great price !! !